Don’t be a Gout Statistic! Don’t be a Gout Statistic is aimed at the Gout Seeker type of gout sufferer. However, it should be interesting to all gout sufferers. Especially those who base their gout treatment choices on published gout research. This article is inspired by a forum post from a committed gout patient. It highlights how there is always a need to insist on personal gout treatment that goes beyond gout statistics. All gout treatment plans rely on statistics. 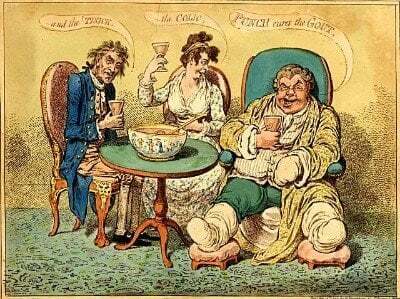 Doctors would be foolish to ignore gout research. Especially where multiple studies reinforce ideas about best treatment practice. But, professional rheumatology guidelines emphasize the need for a personal approach. The rheumatologist refers to a period of 4 to 24 months gout free after stopping allopurinol. In my Allopurinol Vacation study, the researchers report up to 5 years. Now, I would never suggest a temporary break in taking allopurinol to gout patients who might never resume it when necessary. But, doctors should also consider that some gout patients are reluctant to commit to “medication for life”. Gout sufferers become Gout Victims because they fear that commitment. Such patients need only consider a short-term program to reduce their uric acid burden. Then, when they recover from gout safely, they are better equipped to decide about their future. It’s not about the statistics of uric acid treatment duration. It’s about encouraging gout patients to understand and control their uric acid overload. The rheumatologist sets a uric acid target below 360 μmol/L (6mg/dL). Statistics show that gout is unlikely below 6mg/dL. But, is it really a good target during the early stages of uric acid lowering therapy? Various statistics about gout incidence and uric acid levels have supported the view that 6mg/dL is low enough. Many rheumatologists believe that 5mg/dL is a better target. I support the lower target, where it is medically safe. Because it gives a greater buffer for natural uric acid variations. It’s not about the statistics of population uric acid levels and gout incidence. It’s about encouraging patients to minimize the length of time they are at risk of gout attacks. My final example isn’t about specific gout statistics. It’s about the attitude of many gout sufferers to statistics. I include myself in this, but I’m constantly trying to tell myself that statistics are only a prompt for personal action or investigation. Do people starting Allopurinol always get an attack as they increase the dose or is this not always the case if it’s done slowly and carefully? It’s not about the statistics of gout flares during uric acid lowering therapy. It’s about taking control of gout flares so that you enjoy your gout recovery, not fear it. I seriously enjoyed recovering from my gout. By controlling gout, I realized I could control most bad things in my life. I refuse to be a victim of statistics. How about you? Gout statistics can be useful. But they only help you understand general principles of gout management. So, to get the best treatment, you must analyze your own symptoms and responses to treatment. 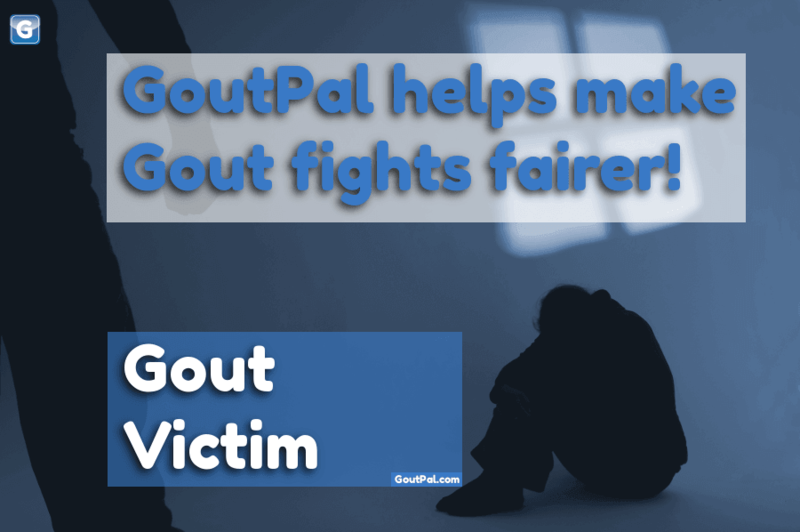 Finally, when you are looking for gout statistics, it is best to use the search box located near the top of every GoutPal page. Because I do not have a section of this website dedicated to statistics. However, some of my Gout Resources are labeled as statistical. But for other statistics search for the specific gout topic you are interested in. For example, you could search for gout and alcohol statistics. Scared by gout statistics? Don’t be a Gout Numbers Victim. It’s all about you! As I mentioned, these are a few examples of how statistics can be misleading. The right way to use statistics is a pointer for personal investigation. Most gout statistics produce averages in one form or another. Averages are great for statisticians. But, I want you to be better than average. I want the best treatment for you, personally. Stop being a gout statistic. Start being a Gout Champion. Do you have questions, experiences, or opinions about your own gout statistics? Please share your thoughts in the gout forum. Do you have suggestions for improving Gout Statistics? Then, please add your idea to GoutPal’s Suggestion Box. Or, send the Feedback Form, below.